If you follow film-makers Wong Fu Productions’ works, you would have known that they would be participating in volunteer work this February. Wong Fu Productions is supporting Habitat for Humanity Singapore through a collaboration with Soulheartist (an initiative of Soulmanna Live). 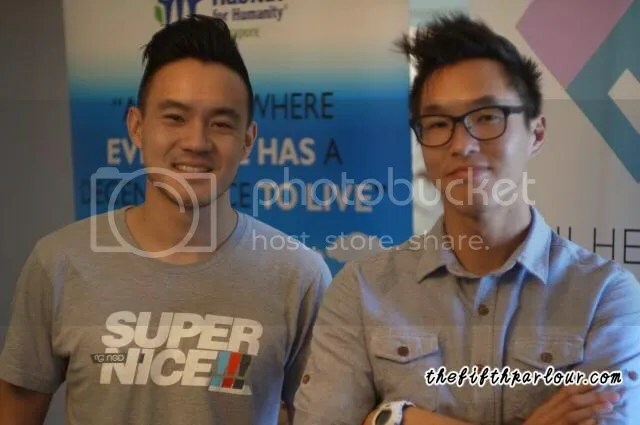 This means two of the three creators of Wong Fu, Philip Wang and Wesley Chan, will be joining a team of 10 to embark on a two day project in Kuching, Malaysia. They will be working on building a new home for a family in need. However, it is not just about building a home as this project embodies a larger vision – to resource this community with affordable housing and long term sustainability. The pair were here in Singapore on Monday to raise awareness about this project. 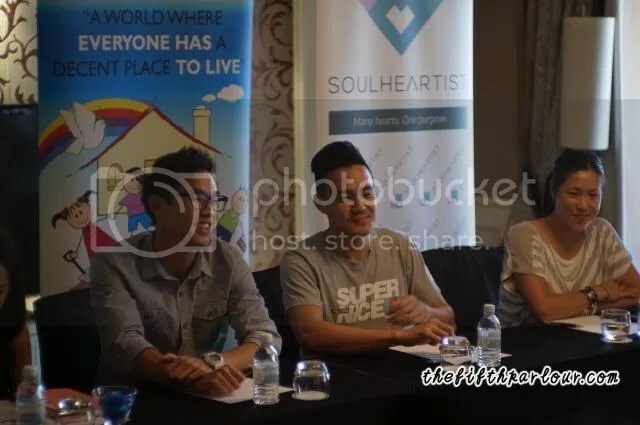 A press conference was held on the day itself with the two boys of Wong Fu alongside Habitat for Humanity Singapore’s assistant manager Melodie Lee, director of Soulmanna Live Deb Fung and ambassador Paul Foster. They talked about the project, their motivations for taking part and their preparations for the trip. For starters, Wong Fu shared that they decided to take up the collaboration because they think it is important for people to give back to the community, especially for people who are fortunate to have achieved success like they do. 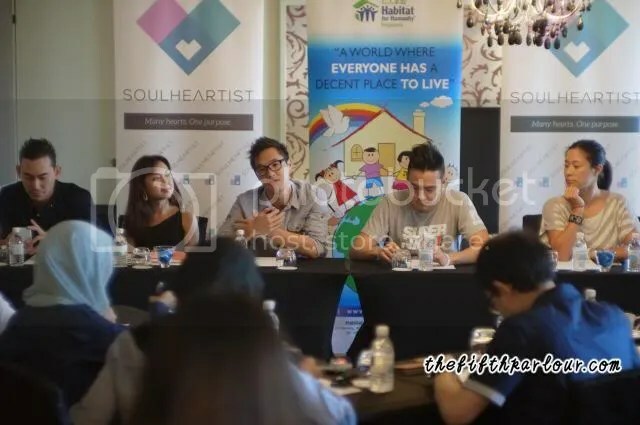 Wong Fu has worked with Soulmanna previously back in 2012 for speaking events, and this time round they got the opportunity to do something more than that with Habitat and Soulheartist. When asked about their preparations for the trip, Wesley told us about the shot that he got for the trip the night before. Philip joked around and said that he built legos and Ikea furniture for preparation. He later added that they try to stay healthy and he tried to do some research on the area with Wikipedia to find out more about the culture in Kuching. He also received some food recommendations from a person who was born there. Heh, quirky answers indeed. Although they will be in a foreign country that speaks in a foreign tongue, Wesley says that they are not afraid. He feels that they have traveled a good amount and that he can just get by if he is speaking face to face with the person – meaning that language is not a barrier for him. Their purpose of being there and the message that they are there to help will be received by the people and he feels that that transcends language. Paul feels likewise and he said making sure the build stays up and gives them proper shelter and warmth overcomes everything else. Many of you must be wondering about the third man of Wong Fu and whether he is involved in the project. It was revealed that Ted Fu will be helping out indirectly by staying back in the company to oversee company matters. If not for Ted, it would be impossible for Philip and Wesley to be actively participating in the trip. Philip told the group that Ted really wanted to come along though. Aww, we wished Ted was able to tag along too. All in all, we feel that it is admirable for Wong Fu to be a part of this collaboration. Although the build will only last for 2 days and what can be attained in those 2 days with a team of 10 will be very little, we believe in the subsequent effects of it. 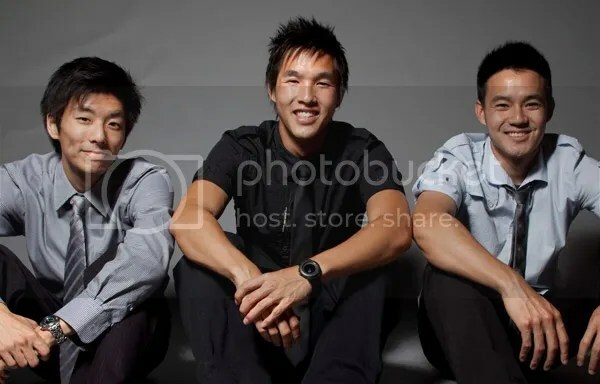 Wong Fu’s fame worldwide will help to raise awareness about the project, and their participation will also encourage their fans to get involved in giving back to the community. Many people also look to Wong Fu as role models and them being engaged with volunteer work will definitely serve as a motivation for others to do the same too. If you are interested in giving back to the society and you’d like to get involved in this great cause, you can consider subscribing to Soulheartist. For as little as $6 per week over 3 months, you can join Wong Fu Productions, Habitat for Humanity Singapore and the Soulheartist community in helping those less fortunate by raising funds and resources for the project. Every subscriber will get a limited edition Wong Fu Productions Soulheartist Pack plus special access to exclusive members only discounts with their brand partners. You can check out Soulheartist‘s and Habitat for Humanity’s website for more details regarding the project. Also, fans of Wong Fu can be sure to look out for a video about the trip as Wong Fu Productions will be documenting the whole process of their trip and will be uploading it on one of their channels. Thank you Soulheartist and Habitat for Humanity Singapore for extending the invitation for the press conference to The Fifth Parlour!